The FDA has promised a fast review for Bayer’s cancer drug, copanlisib, for a hard-to-treat lymphoma. The drug has been given a priority review, which means the FDA gives a six-month review instead of the standard 10-month review, thanks to its potential for advancing treatment of the disease. Copanlisib is a pan-Class I phosphatidylinositol-3-kinase (PI3K) inhibitor with predominant inhibitory activity against PI3K-α and PI3K-δ isoforms, which the FDA will review in relapsed or refractory follicular lymphoma patients who have received at least two prior therapies. 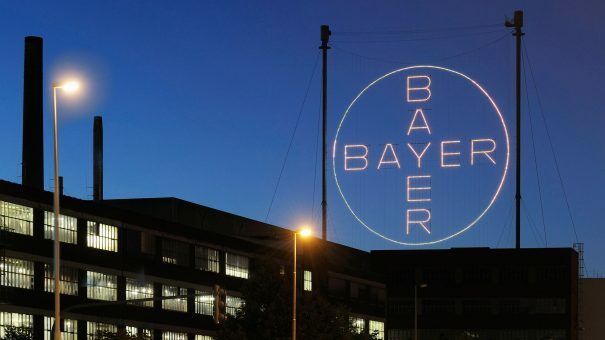 Although patients will welcome a new treatment option, it looks like Bayer will struggle to obtain high sales levels as this market is already crowded. Evaluate Pharma has predicted sales of around $262 million for copanlisib by 2022, as Johnson & Johnson’s BTK inhibitor Imbruvica (ibrutinib) is proving popular with prescribers, as is Roche’s anti-CD20 Gazyvaro (obinutuzumab). Gilead already has a drug in the PI3K class approved approved in follicular lymphoma and chronic lymphocytic leukaemia. But Zydelig (idelalisib) has hit trouble after reports of serious side effects related to compromised immune systems, including several deaths, among patients in studies. The safety concerns prompted a review last year by the European Medicines Agency, which eventually let Zydelig stay on the market as long as patients receive antibiotics to reduce likelihood. Patients should also be monitored for infections and have regular white blood cell count tests – and these onerous requirements will hardly encourage doctors to prescribe it. There are several options for treatment of follicular lymphoma depending on its subtype, including immunotherapy and chemotherapy. Bayer’s filing is based on data from the phase 2 open-label, single-arm CHRONOS-1 study evaluating patients with relapsed or refractory indolent non-Hodgkin’s lymphoma. It is based on an analysis of 142 patients, of which 141 had indolent NHL from the open-label, single-arm phase 2 study. The primary endpoint of CHRONOS-1 is the objective tumor response rate, with duration of response, overall survival, progression-free survival, quality of life, and safety serving as secondary endpoints. If approved on the basis of this early data, Bayer will likely have to produce confirmatory late-stage data to maintain the drug’s licence in the long term. A number of other pharma companies are developing drugs in the PI3K class – such as Lilly, which has a PI3K/mTOR drug in development for lung and prostate cancer. SignalRX Therapeutics is also reading a PI3K pan inhibitor for phase 2 development after testing it in a range of solid tumours in phase 1. Another drug which recently gained fast track status from the FDA is Epizime’s tazemetostat. This is for follicular lymphoma patients with refractory disease with our without EZH2 activating mutations.